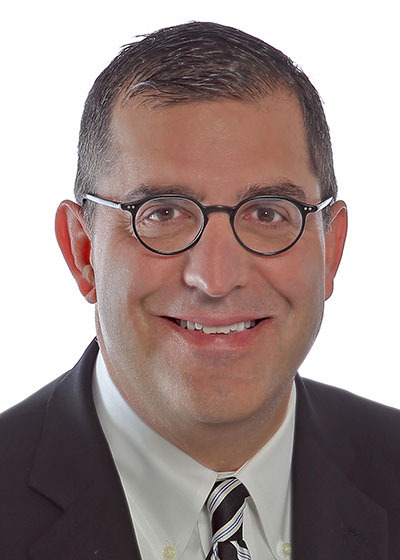 Greg Slyman graduated from Baldwin Wallace with a degree in Business Management in 1990 and has spent majority of his career in the commercial real estate industry, operating in both Chicago and Cleveland. For the past 12 years, Greg has specialized in the retail sector focusing on tenant and landlord representation, land assemblage, site acquisition, land and center sales. In 2003, Greg relocated back to Northeast Ohio and joined Kelly & Visconsi Associates, LLC which is now known as Hanna Commercial and was promoted to principal in 2007. As a native to Northeast Ohio, Greg brings invaluable local knowledge and experience to his clients. His extensive real estate background has made him one of the most experienced brokers in Northeast Ohio. Greg has completed over 300 deals in Ohio for retailers including: Key Bank, Sleep Outfitters, Mattress Warehouse, Goodwill, Roses Department Stores/MaxWay, Aldi Foods, Famous Dave’s, Kay Jewelers, Toys R Us, and Sheetz. He is also responsible for marketing and leasing over 4 million square feet of new and existing shopping centers in Northeast Ohio, including Kamms Plaza, and properties owned by Regency Centers, Rini Realty, Zeisler Morgan, Albrecht Inc., and Inland Real Estate Corporation. Greg has consistently been one of the top grossing sales agents in Northeast Ohio and recognized by his peers as well as numerous industry-focused organizations for his achievements. In 2006, 2007, 2008, and 2009, Greg was awarded the prestigious CoStar Power Broker Award. In 2010, Greg was awarded the IMS Broker of the Year for his outstanding representation of Sleep Outfitters and Mattress Warehouse. In addition to industry awards, Greg has been honored by his clients for his superior service and stewardship such as in 2011 when he was presented with the Ambassador of the Year Award by Goodwill Industries.